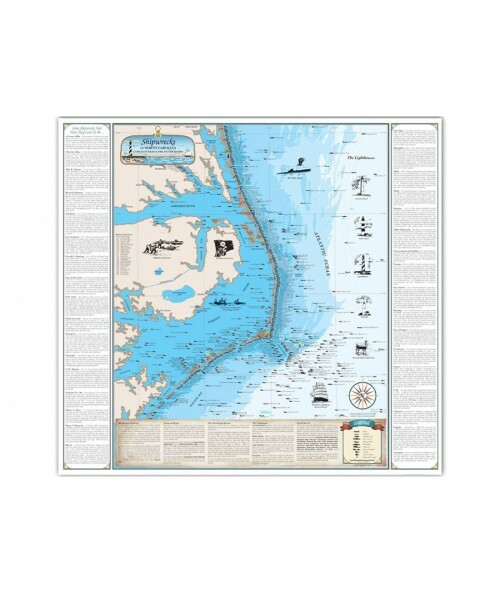 Let the spirit of adventure take you away with this shipwreck chart of North Carolina's Cape Hatteras and the Outer Banks! 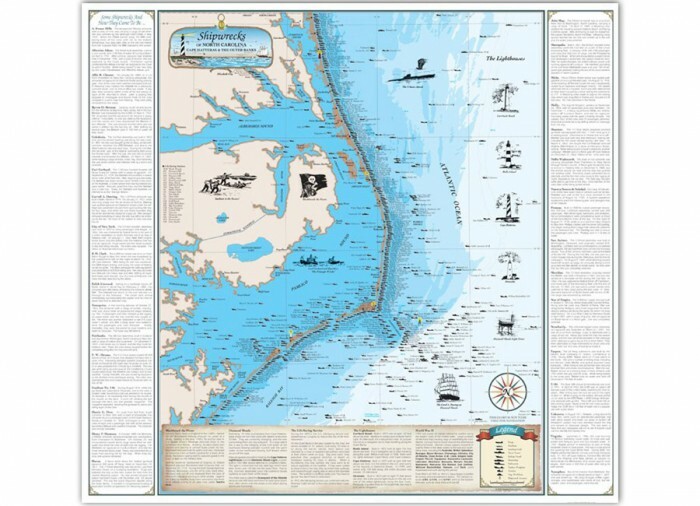 This map includes information and drawings on over 300 shipwrecks in Cape Hatteras and the Outer Banks. 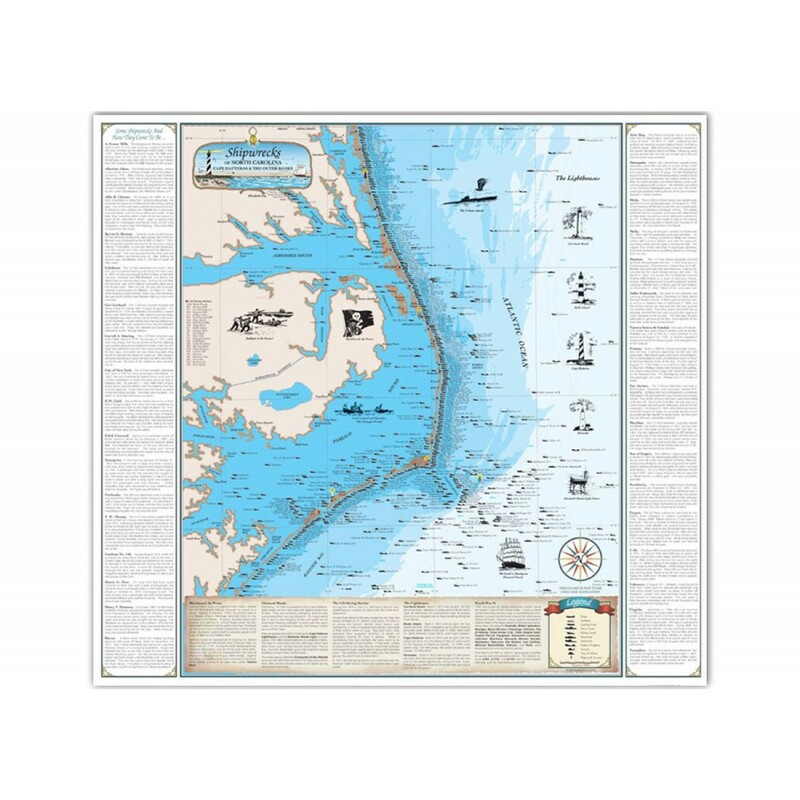 It tells the stories of 32 different shipwreck that have sunk off the coast of North Carolina. Read about The Carrol A. Deering, the Carl Gerhard and the Kyzickes, the U-boats attacking, and even Blackbeard the Pirate in this fully-colored, hand-drawn chart! It even comes in either plain paper or high gloss laminate.